We've talked about listening to your body when it comes to running, but today I want to talk about listening to your body when it comes to eating. Nutrition is obviously an important thing. We've been taught that our whole lives and we teach our kids about nutrition in hopes that they make good eating habits in their lives. I won't pretend that I'm a super healthy eater. I've never loved veggies all that much and I've always had a big love for junk food. But I do have to say that I've had a really good feeling for what my body wants and needs as far as food goes. I'm not a nutritionist or a doctor, so take this as you will, but I believe that our bodies will tell us when it needs something that it's lacking. When you aren't sleeping well at nights, your body feels much more tired than normal and it's telling you that maybe you should go to sleep early that night instead of staying up to watch one more show. And I think the same goes for eating right. When you're a baby, you cry when you're hungry because your body is telling you it needs something. 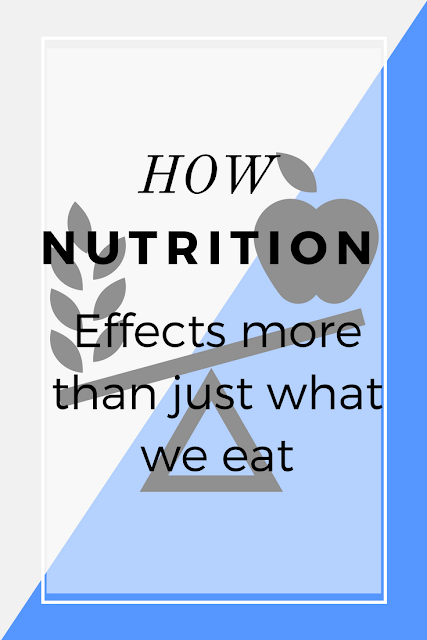 Nutrition effects more than just what we eat though. The other day I got busy getting kids ready and to school on time and doing chores around the house that I didn't eat until around 10:00 AM. (I know that's not a big deal for some people but it is for me). I'm not one of those people who "forget to eat" I've always found that a little weird because I love food and I always want food. But the other day I noticed things that were happening when I was putting off eating. I was getting frustrated with the kids easier. I didn't have the motivation to workout like I had planned. Suddenly nothing really sounded GOOD to eat because it would either take too much time and effort to make the food or because it was not healthy-ish food. Nutrition has a big effect on our workouts! Everything about nutrition effects this. From when we decide to eat to what we put into our bodies, it all has an impact on how our workout will go. We make sure to give ourselves enough time between eating and working out to make sure we won't get sick on our run. When we get done with our run we make sure to eat good recovery food with protein in it to help our bodies build strong muscles. We make sure to eat foods that will give us the energy we need to finish our workouts and push ourselves harder. The way we eat also effects the way we sleep. When we don't get enough to eat, you wake up in the middle of the night hungry and it makes it hard to fall back to sleep. This is why when you have babies that used to sleep through the night but start waking again, they suggest upping the amount of food that you give them. That's also why when you up your mileage more and more, you sometimes wake up starving. Your body burns more, so you need to be replenishing it more with healthy foods. Nutrition effects the way your brain functions. Have you noticed that on days that you're in a rush and grab something super easy and quick while you run out the door, that the rest of the day kind of feels exhausting and your focus isn't on your work and you don't have the energy or motivation to get anything done? (This goes for kids and school too) You will do so much better on your work, or getting your to-do list done, when you make sure to get something more than a granola bar or a cup or juice as you run out the door. 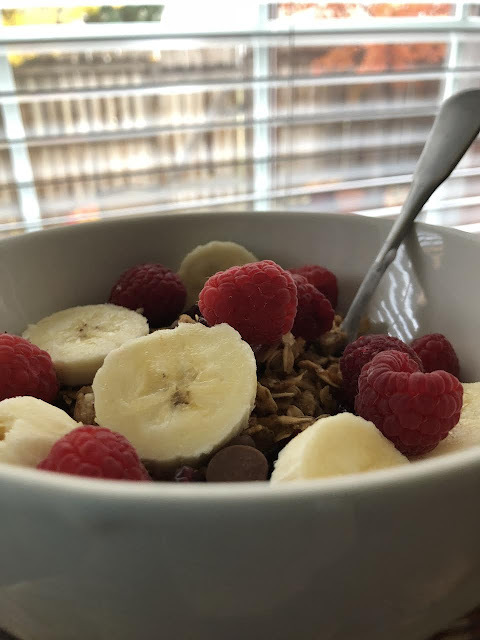 Having a good breakfast (and honestly waking up a little early to exercise, too) will help your mind wake up and help you be more productive during the day. I've never been a big fan of dieting (because, again, I love food) I don't follow any sort of diet. I eat what I feel like eating. But I do try to be conscious of what kinds of food I'm eating and what my body needs/wants. When we went on our family trip down to Bryce Canyon last week, I made sure to pack healthy snacks and options for lunch and breakfast. We only went out to eat lunch (which saved us a lot of money). But when we got home I really wanted a vegetable. And I'm not a big veggie fan. I knew that vegetables were what my body really needed. 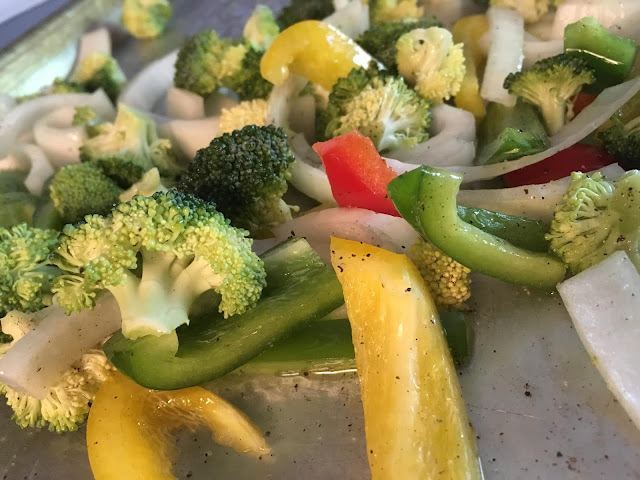 So I roasted up some veggies (my favorite way to have them) as part of our dinner the next day. I think a big reason that I'm able to tell what my body needs now is that I got into the habit of making healthier choices, to begin with. I still eat the junk (oh my, do I love the junk!) but I made sure to start stocking up on easy, healthier snack foods for me to grab when I get hungry in the afternoon. 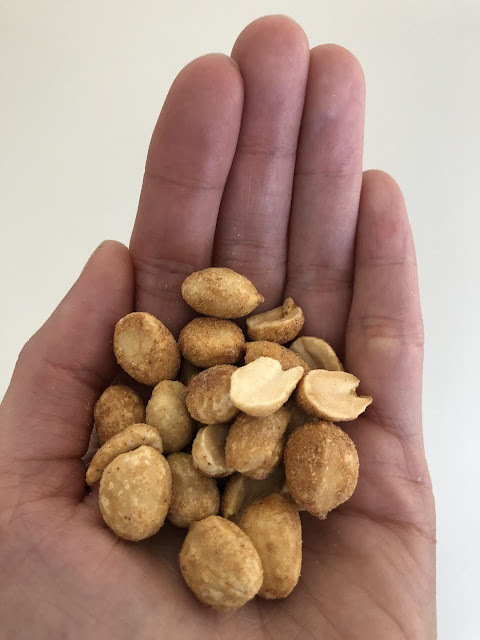 Instead of having a piece of candy, or another brownie or leftover cupcakes from someone's birthday party, I started snacking on peanuts. They are more filling and a little healthier than the junk food for me. I make sure to eat something good for breakfast. Instead of having a bowl of the kid's cereal, I make a big batch of granola and that will last me a couple of weeks. I put it on yogurt and top it with lots of fruit. It keeps me full until lunchtime so that I don't even have to worry about what to snack on. One reason we start to feel hungry might not be because we are actually hungry at all. One of the big reasons people tend to snack and feel hungry is because they are actually thirsty. I'm not great at drinking water but I'm working on drinking more water than I normally do. Instead of having milk at lunch with my sandwich (or whatever else) I choose water. And I always have water at dinner time. If you struggle with this because you don't like the taste of water, you can try Hint water. I tried Hint and loved it, you can read more about it HERE. Or you can add a little lemon to your water to help with the taste. I try to make sure that I'm not eating later than 7:00 PM. I fast from 7PM until about 9AM and then I have breakfast (you're breaking your fast that's why it's called BREAKfast). Getting the habit of eating a snack while you watch a show every single night before bed can make you gain weight, don't sleep as well, and it's just not a great habit to have anyway. Trevon and I will have a late snack for our "date night" when we have at home date nights after the kids go to bed. Every other day we are pretty good about just having water or nothing after 7. Eat when you feel hungry, and eat something good. It's totally fine to have a treat or junk once in a while. Just make sure that what you're eating most of the time is good, healthy food. Healthy food doesn't necessarily mean organic or gluten free or whatever else is the fad right now. Whole food, fresh foods, homemade foods. those things are all healthy too. Don't stress about it too much (some people make eating way too hard), just be conscious of what is going into your body. Make the choice to make dinner instead of picking something up on your way home. Make the choice to have whole wheat bread instead of white. Make the choice to eat an egg for breakfast instead of cereal. Just be conscious of the food choices you're making and listen to your body when it tells you what it needs. What is the hardest thing for you to get in your diet? What's your favorite trick to getting enough water?